There aren’t many providers that offer marketing automation for Salesforce.com’s Group Edition. Lead Liaison has had this capability since 2011. We’ve filled the gap for a number of companies using Salesforce.com’s Group Edition that don’t have anywhere to turn for an easy way to attract, convert and close more business using automation. 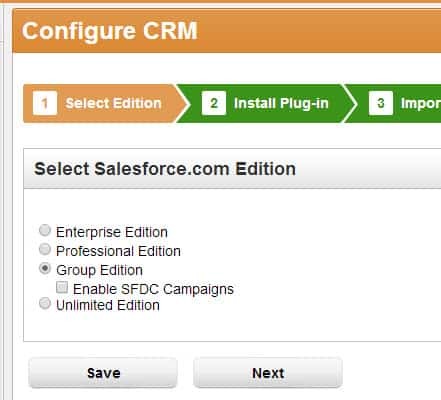 Case in point, even Salesforce.com’s own marketing automation application doesn’t even support the Group Edition. Lead Liaison’s full suite of marketing automation services are available for use with Salesforce.com’s Group Edition. You can see some of the sales and marketing automation services here. The integration is ideal for small businesses just getting rolling with a CRM. They get to use a best-in-breed CRM with a best-in-breed marketing automation platform at cost-effective prices. We understand small business and have crafted a business model specifically designed for smaller companies. Basically, for a dime per contact you can nurture, qualify and better market to your audience. Want a demo of Lead Liaison’s integration with Salesforce.com’s Group Edition? Increase Lead Engagement through Multi-Channel Marketing Campaigns Marketing Automation Lite?